What is a Frozen Carbonated Beverage (FCB)? FCB is a mixture of flavored syrup, carbon dioxide, and water frozen into a drink comprising a fine slush of suspended ice crystals, with liquid, which gives frozen carbonated beverages their crispy texture. The FCB machine was invented by Omar Knedlik, the owner of a Dairy Queen franchise in Kansas. In the late 1950s, Knedlik would store soda in his freezer because his restaurant lacked a soda fountain machine. His customers loved the consistency and taste of the semi-frozen bottled soft drinks. 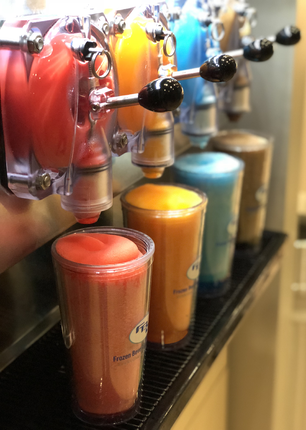 The popularity of the slushy drink drove Knedlik to try to capture them with a machine. It took him 5 years to be able to replicate the consistency in the slushy soft drinks. About 300 machines had been manufactured by the mid 1960’s and the first ICEE machines were sold in the United States. In 1965, 7-Eleven licensed the machine, and began selling what is today still known as the Slurpee. How does an FCB machine work? An FCB machine works very similar to a regular soda fountain machine. The syrup is mixed with filtered water, and then carbonated. The mixture is then injected into a cylinder surrounded by freezer coils. The mixture freezes against the wall of the cylinder. A rotating dasher then scrapes off the frozen mixture, which also keeps it consistently mixed. 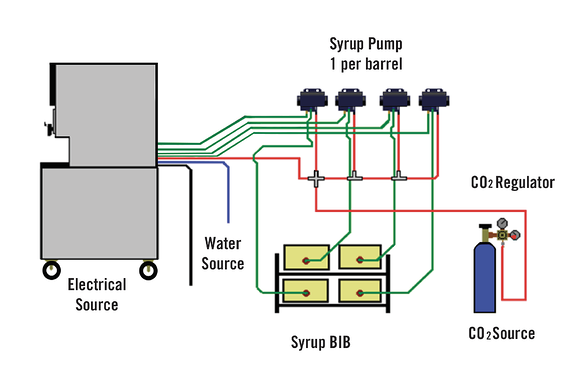 FCB machines will often freeze to a temperature well below the freezing point of water, but the combination of pressure, sugar, carbon dioxide, and the constant stirring prevent the mass from freezing solid. Frozen Carbonated Beverages are highly profitable, given that 50% of a poured drink is CO₂ (air) & 40% is water. 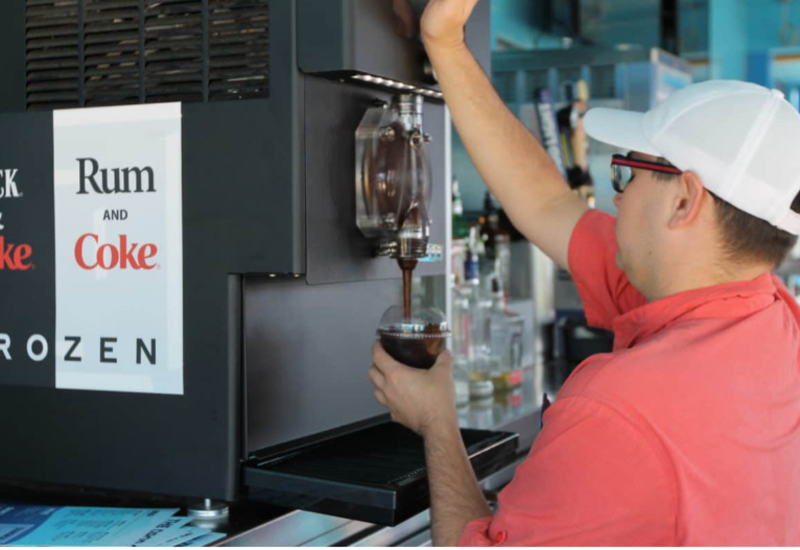 A Frozen Carbonated Beverage Program Brings You Up to 70% Gross Profit. 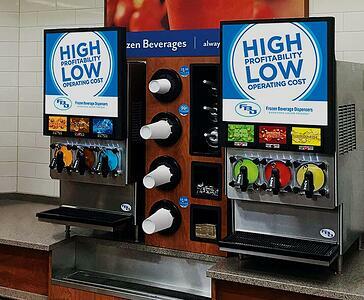 The margins are up to double that of canned beverages and potentially 20% higher than fountain drinks.In comparison to fountain drinks, frozen carbonated beverages benefit from higher price points and less promotional expenses, especially during the summer!Depending on foot traffic and sales, a frozen beverage dispenser with a frozen carbonated drink program can pay for itself in 12 to 18 months – in channels such as movie theaters, in as quickly as 3 - 6 months. For more information visit the FCB page on our website.